You must make reservations at least 5 minutes in advance of the time at Fresco by Scotto. 5th ave station on E and M line. 51st street station 6 line. 47-50 station B,D,F. 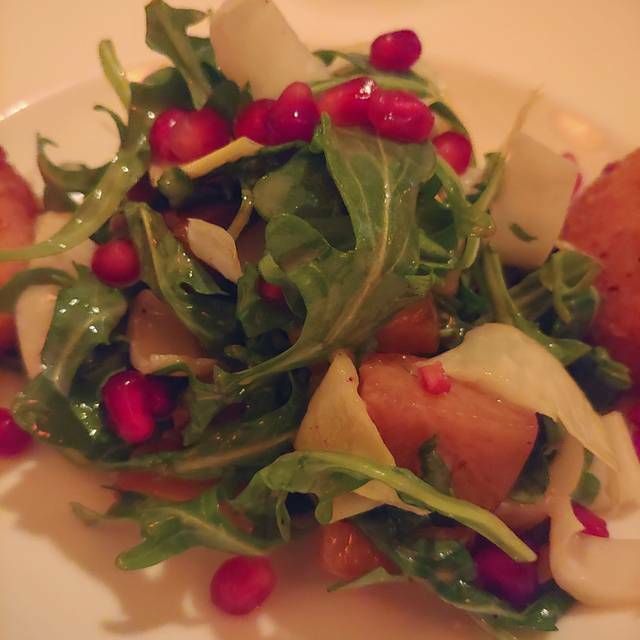 Please Call Elaina Scotto or Natalie at 2127542700, we will handle all your catering needs. 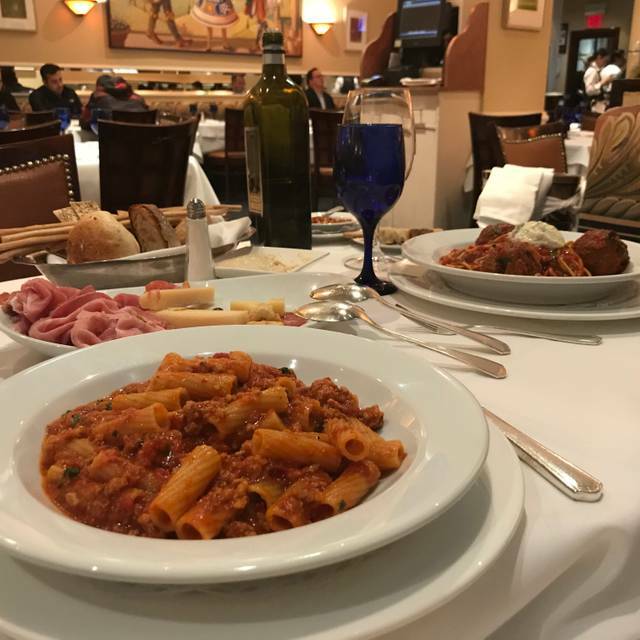 Fresco by Scotto is a family owned Italian restaurant in New York City. The concept is simple: serve delicious, fresh, seasonably inspired food in a warm atmosphere. Fresco by Scotto Restaurant has been opened since November 1993. It’s well known as the power broker’s lunch and star-filled entertainment industry dinner. Fresco by Scotto is often referred to as the “NBC Commissary”. Fresco by Scotto is owned and operated by the Scotto Family—Marion, Rosanna, Anthony, Jr.and Elaina Scotto. In the main dining room, appetizers and salads ordered as a main course will be priced and served as an entrée. 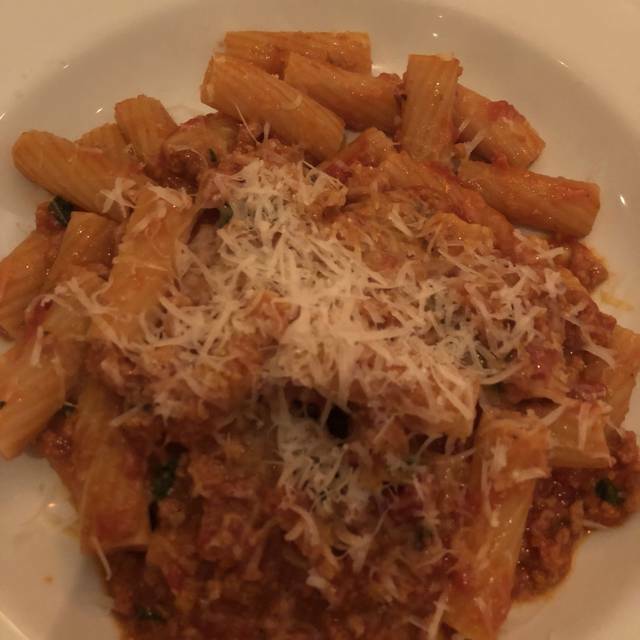 Please Note: Gluten free pasta can be substituted for any of our pastas. Linguine Fini with Shrimp "Fra Diavolo Style"
We will be serving a fixed price menu on this day. $85 for adults and $50 for children 12 and under. Overall lovely dinner with impeccable service! Always a good meal. Never a let down. Lovely room. Good drinks. Food was delicious. Bean dip served with bread was very tasty. Shared Frito Misto app. Had the spaghetti & meatball entree which hit the spot. 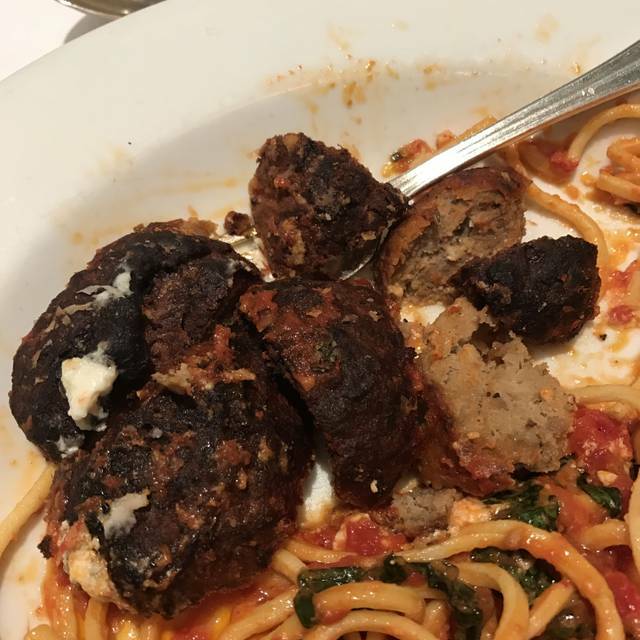 Meatballs were tasty and light. Friends all had the lamb chops and which they enjoyed. Shared a Brownie sundae very tasty. Our waiter Dennis wa great. Overall a lovely evening with good food. Always a favorite of ours...from the moment you walk in and as you leave you feel how special the meal was. Our server Diego was excellent, we all really liked his manner, knowledge and suggestions. I had to have the meatballs, which are my all time favorites..everyone loved their entrees...the fish was excellent, the chicken parm was also quite good...had a special salad of scallops and mango over a salad...it was delicious.. Dessert was a tiramisu and not a piece was left on anyones plate! 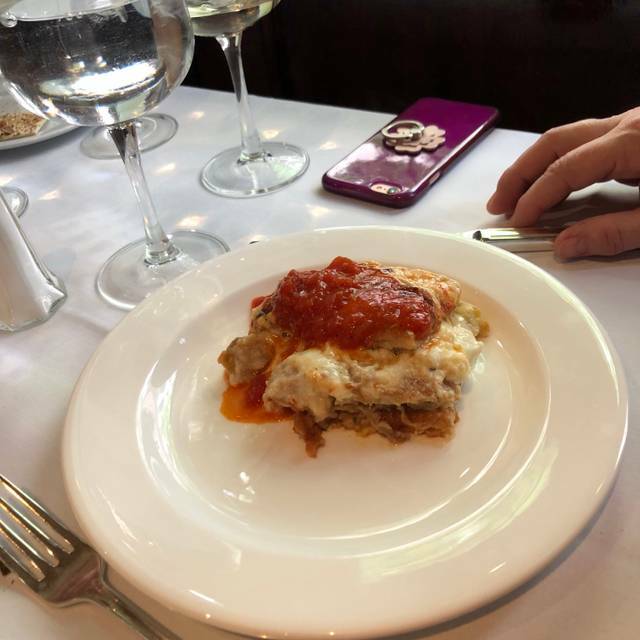 Can't wait to go back for the chips and eggplant and zucchini pie! Always a good experience.. great food, good service. Will be back. Great service and delicious food! They didn’t rush you. Had a chocolate mousse dessert that was wonderful. Had an early reservation so it was busy. Quality food, good service, and like most restaurants, a bit noisy. Overall the food and ambience was good. However, the chicken Caesar salad was lacking in taste........what happened to Caesar? Having to spend over $40.00 for a salad at lunch, when not on a company expense account is just not acceptable. We were visiting NY for a few days and were told that this restaurant was very good. We were able to get a reservation for Saturday night and were expecting a wonderful meal. instead we had a very mediocre meal. First the bread came out and was incredibly stale. Then we had salads. Mine was a standard mixed greens with nothing unique about it. My husband had the Caesar which supposedly had romaine, but all of the lettuce was white. I ordered the shrimp diavolo with spaghetti. It had a little spice but otherwise was very bland. I make this myself and it has more flavor. 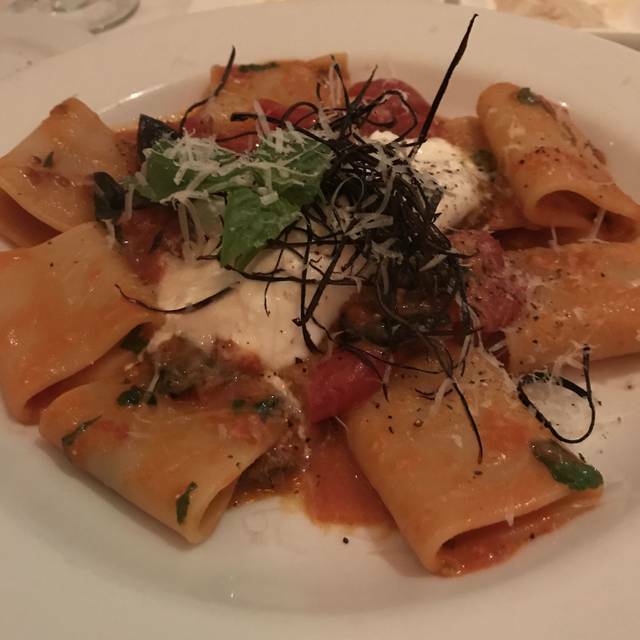 My husband had pasta with a veal boldness sauce which he said was pretty plain. With two drinks, no appetizer or dessert, our bill was over $200 and definitely not worth that kind of money. I’d expect to have amazing food for this kind of money. The waitress was awesome, and she is the only reason I didn’t give an overall lower score. We had a party of 6 on a Sat. eve. The place was very full. In spite of a full house we had excellent service and excellent food. (With NYC prices of course :) ) I would definitely dine here again. Well established NY Italian restaurant. Seasoned staff, sommelier and really great food. Underwhelming and overpriced. My $32 crab cake had 2 pcs of lump crab. Big delay on being served our meal- kitchen must have been very backed up. Great food, but way overpriced. This restaurant is consistently good for a business lunch. Food is very good and the service is even better. Very good value for Manhattan. Allan is wonderful! Always creates an experience - very knowledgeable of the menu and makes EVERYTHING sound appetizing. Always love my favorite NYC spit. Feels like home. One of our favorite restaurants! Love everything from the moment we walk in the door! Recommended very highly and you wont be disappointed! Pleasantly surprised by the service and quality of food. The ambiance was amazing as well. Seems like this place had a lot of the local regulars which always fascinated me. Great food and dessert! Ingredients fresh and our waitress was great! Would only recommend the restaurant to those who like loud, chaotic settings at which to eat dinner. Amazing food! Fun atmosphere! Excellent service! I always recommend Fresco by Scotto! Great place! Been here a few times food always excellent! Service over the top....everyone very friendly and accommodating. I was meeting a friend I hadn’t seen in some time. We stayed so long - lunch time service was over. (I knew they really wanted to clean up and prepare for the dinner crowd) They did not bother us to leave. Eventually they invited us to sit at the bar for a glass of wine!!!!!!! Love this place! Enjoyed the dinner and ambience. Great food and friendly people. The food was terrific. Even the breadbasket was terrific. Service? Impeccable. My only complaint was that it's expensive. A shrimp Cobb salad at lunch was $42. My companion had an excellent platter of roasted vegetables, squash with quinoa, creamy polenta, and more and it was filling. It was also around $40 -- and this was at lunch. Did I mind? No, because it was a special lunch. Without an expense account (which I do not have) I'd probably keep visits to special occasions only. Knock the prices down and I'd be here more often. 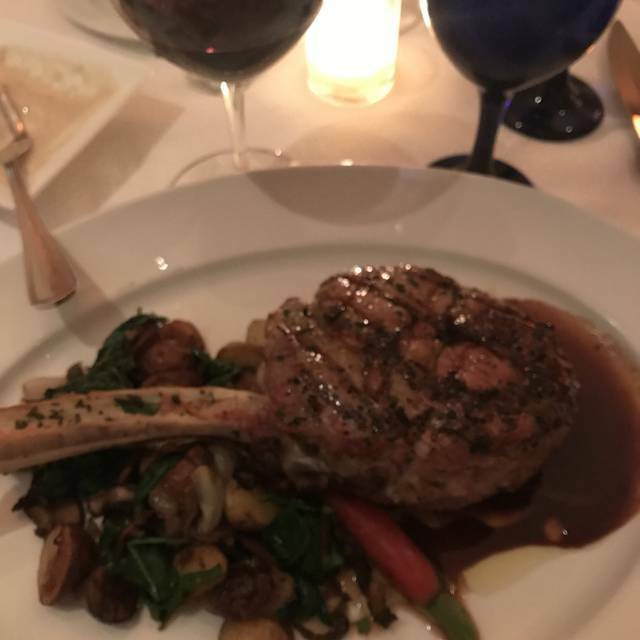 Yes, the food was excellent, but NY is loaded with restaurants that have excellent food and are a little more reasonably priced. Then again, I may not be the customer they are after. Always a great time at Fresco by Scotto. Food is superb and the ambience is excellent. Great good. Service was good. Tables are too close so it gets very loud to have a conversation. Perfect place for lunch or dinner. The food is absolutely delicious! From the minute we walked in until the minute that we left, the service from every member of the staff was over the top attentative and friendly! what a wonderful & warm environment. The menu offered a nice variety of choices but pricing was a bit on the high end. Food was good and we would definitely go back again! Also the the room is a nice size but they don't overcrowd the tables so you don't have to fight to hear yourself talk, which is a nice change of pace for NYC. 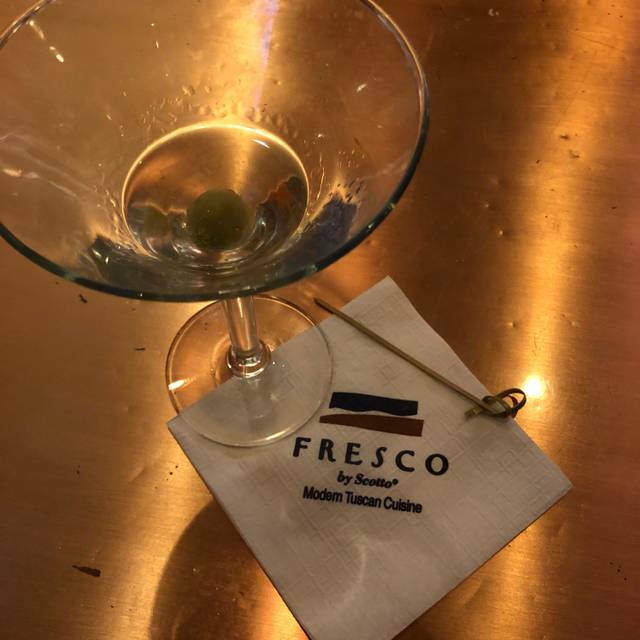 We always enjoy Fresco. The food is delicious and the servers are friendly and fantastic! All the food here is always outstanding, as is the service. 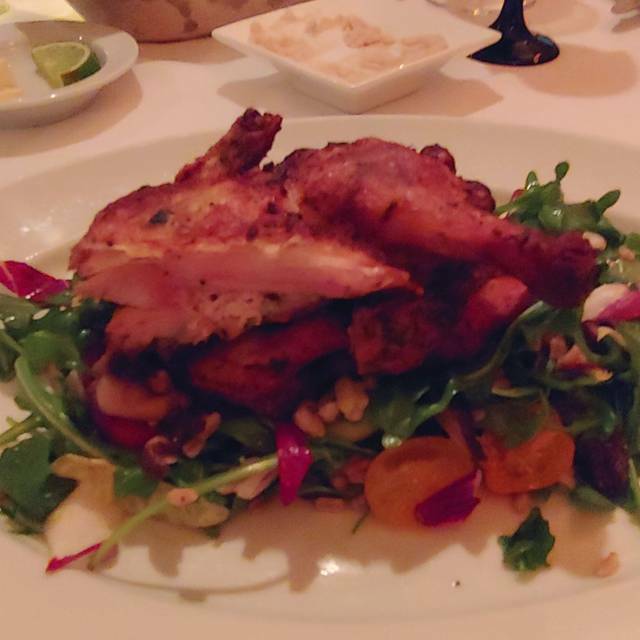 Be sure to make a reservation and bring your appetite, you won't regret your choice. We were greeted by Mrs. Scotto herself and had a delightful dinner. Mr. Scotto was also there. I assume the younger Scottos were in the kitchen. There was also a celebrity sighting. Service was prompt and the wait staff very attentive without being intrusive. The food was delicious. A must appetizer is the potato and zucchini chips. And for dessert, donuts with dipping sauce. Amazing!